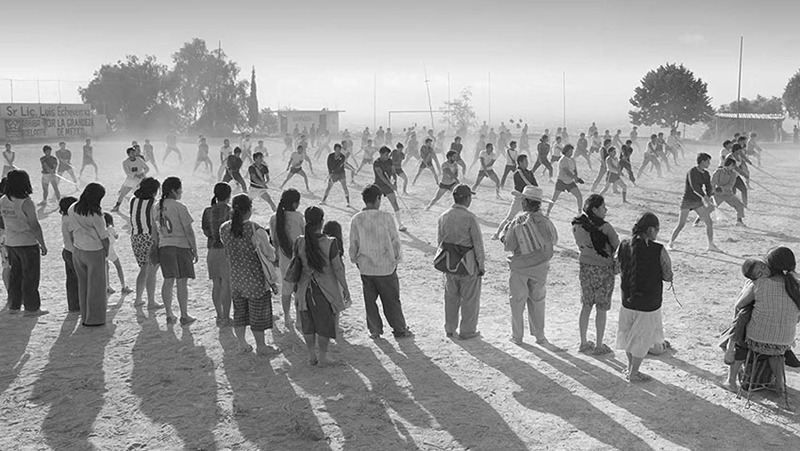 Roma (Netflix) is already a multi award-winning Mexican domestic drama. 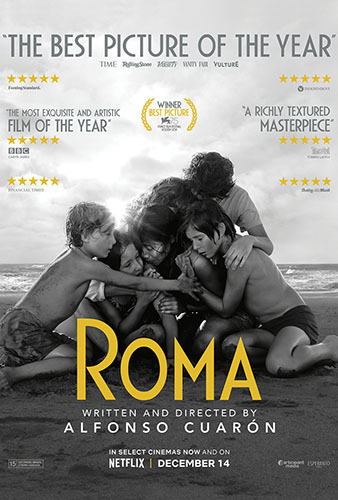 Alfonso Cuarón, director, writer and editor, looks back to his childhood and his parents’ divorce and sees a series of events (earthquake, forest fire, student demonstration, birth of a still-born child, a visit to the seaside) through the eyes of their much loved housekeeper, who had become pregnant by a martial arts enthusiast, a nasty bit of work, who quickly ditched her. She was a quasi-parent to the three boys and a girl. Yalitza Aparicio, a non-professional actress, is utterly convincing. The Children Act (Entertainment One). Richard Eyre directs Emma Thompson in Ian McEwan’s adaptation of his novel. 17-year-old Jehovah Witness, suffering from leukaemia, is intent on dying a horrible death because his devout parents refuse to allow him to have a blood transfusion. A High Court judge visits the boy in hospital in an attempt to make him change his mind. She fails but she rules in favour of the hospital and saves his life. He is so grateful he becomes obsessive: the writes her letters, he stalks her, he begs her to let him be a lodger in her home. What is she to do with him? Her marriage is on the rocks. 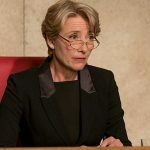 Emma Thompson as the judge and Fionn Whitehead as the boy are always very watchable. 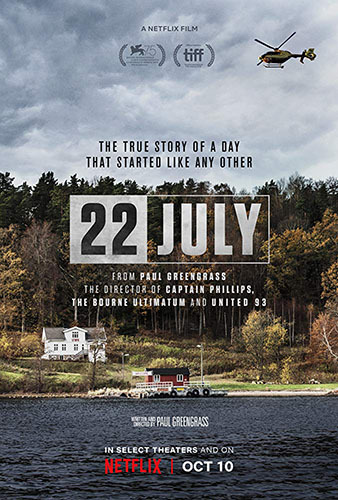 July 22 (Netflix). In 2011 a right-wing extremist, disguised as a police officer, left a car bomb at a government building and then headed for a summer camp on an island off Oslo where he cold-bloodedly killed 75 children and injured many more. Director Paul Greengrass takes a docudrama approach to the horror of the shooting and the fleeing children (with nowhere to hide) and to the inquiry which followed. The film, totally involving, hones in one victim, who is severely wounded, his hospitalization and his testimony during the trial. Anders Danielsen Lie is excellent as killer who claims he is a soldier and that the massacre was a political act against immigration and multiculturalism. 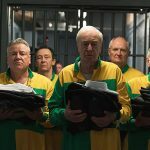 King of Thieves (StudioCanal).The Hatton Garden Robbery in 2015 caught the public imagination; not just because it was the largest robbery in London (£100 million in gold) but because the criminals were in their sixties and seventies. This is the third film version of the robbery and it is surprisingly dull and unexciting. They criminals are old-school, no violence, no guns. Director James Marsh has a good cast – Michael Caine, Jim Broadbent, Tom Courtenay, Charlie Cox, Ray Winstone, Paul Whitehouse and Michael Gambon – but he is not consistent. He leads viewers to expect he is going to take a comic Lavender Hill Mob approach; but once the gang starts dividing the spoils, he gets serious and in the case of Broadbent, who is cast against type, surprisingly nasty. 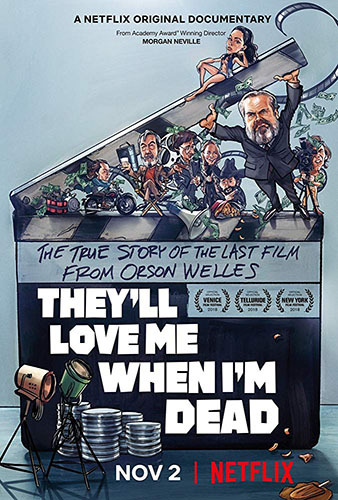 They’ll Love Me When I’m Dead (Netflix). Morgan Neville has made a documentary about Orson Welles’ last film, The Other Side of the Wind, which was a mock-documentary about a great director making a film but not having the resources ever to finish it to his liking. Five years in the making, it was not shown until after Welles was dead. He knew what he was doing but it was all in his head. Nobody else knew what he was doing. John Huston plays the great director. Peter Bogdanovich plays the acolyte, a role he played in real life. Neville imitates Welles’s directorial style. It’s all in the clever editing. It’s like looking at a half-finished jigsaw in which the viewer struggles to put the pieces together. It’s all a lot of talk about making a movie and the end result is a movie within a movie within a movie.